If anything in this competitive world can guarantee success in business, it is quality. When quality is backed with efficient customer service, progress in business is given. Both these factors matter a lot in the CAD industry. 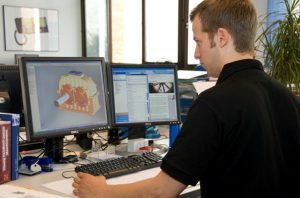 But achieving quality in CAD drafting or designing takes time. When skills and time are not on your side, it is wise to hire a CAD engineer on contract. In the excitement of gaining a project, many people tend to forget the basics. So, don’t rush to hire a cad engineer. First, know your project needs thoroughly. Since every project is different, the required skill set will also be different. Understanding the project needs is essential which will help in finding the right CAD drafter. One of the important steps to hire AutoCad draftsman is to view work samples. Every experienced draftsman or CAD outsourcing firm keeps a portfolio of their work for clients. Checking their work sample will help you judge their skills and efficiency. If possible, take feedback from their clients as well. You can even a little time in their office and analyze their work procedures and style. When you are confirmed about their quality work, find out how much time they need to deliver the work. The charge for CAD drafting is different from region to region and based on the skills and experience of the service providers. Usually, CAD freelancers or CAD contractors in Australia charge their clients on hourly basis or per project. Find out how much you can afford to pay and what you will be earning after paying. If you are confident about their work quality, don’t run after money. When hiring a CAD drafter on contract, ask whether he or she is willing to work on site. Also check if the person has the tools to work online as well. You many as well need to concert paper sketches or 2D files into 3D. So instead of going for a 2D CAD drafter, it is better to hire a 3D CAD drafter on contract who is skilled is converting previous CAD files into 3D. CAD outsourcing firms have talents, experience, and required tools to deliver projects as per clients’ demands. We at Zeal CAD provides reputed CAD contractor in Melbourne, Australia.